Campers and hikers looking for a innovative way to charge their mobile devices back up whilst away from the grid. 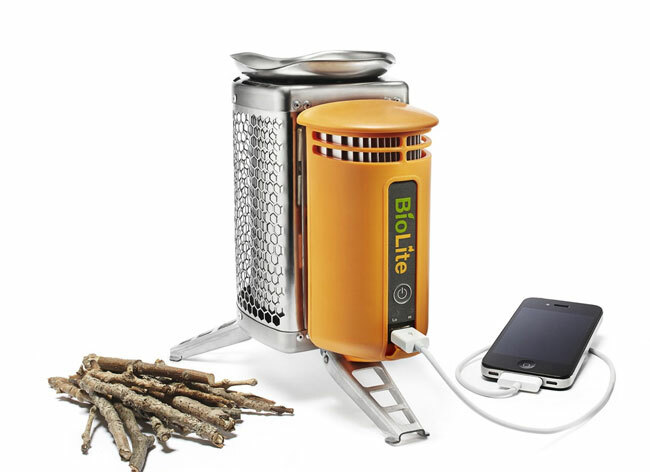 Might be interested in this new BioLite stove which is fitted with a USB ports that allows you to recharge your smartphone as you cook your food. Watch the video after the jump to see the team behind this great innovation and the BioLite stove in action. “Open wood fires are inefficient, wasting potential energy and creating toxic smoke due to incomplete combustion. Carefully designed stoves that use fans to blow air into the fire can dramatically improve combustion. However, such stoves require small amounts of electricity to power their fans and most people who cook on wood are without grid or battery access. The BioLite stove will be arriving ready for the camping season of this year for around $130, and you can reserve yours here.